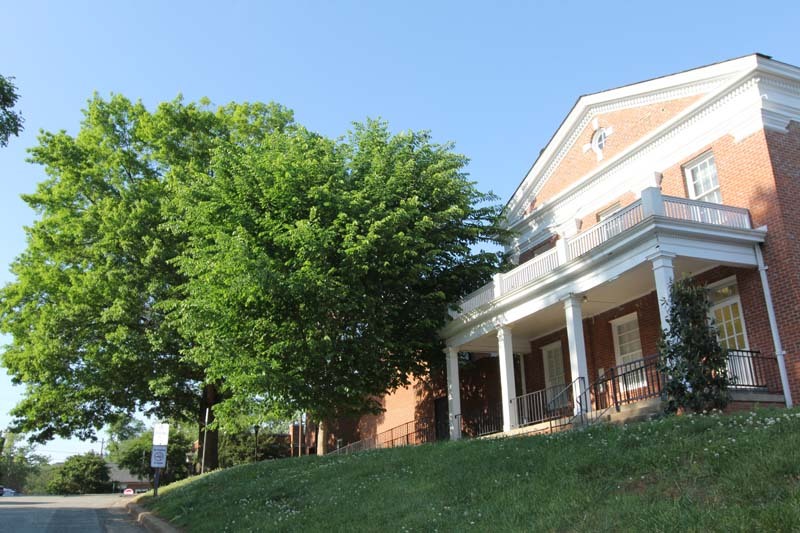 Our location at 120 South Churton Street, Hillsborough NC, directly across the street from the jail, magistrate’s office, and courthouse in Orange County North Carolina makes it more convenient for the citizens of Chapel Hill, Carrboro and Durham to arrange bail bond service than ever before! As the ONLY brick and mortar bail bond agency for 35 miles our proximity to these facilities uniquely positions us to ensure the quickest response time, simplest underwriting procedure, and speediest possible release for your friend or loved one making us an unparalleled service provider in this territory. The Orange County Jail is located at 125 Court Street in the center of Hillsborough NC’s charming historic downtown district. The Orange County Sherriff’s Department is entrusted with custody of a combination of Federal prisoners and arrestees from surrounding townships including Efland, Carrboro and NC’s prestigious Chapel Hill community. For Hillsborough Bail Bonds Agency Call 919-349-7803 Now. Our office is clearly visible from the magistrate’s west facing window, and just a stones throw away from the courthouse steps between The Hillsborough Wine Company, and Bandido’s Mexican Cafe in Hillsborough’s Historic District. During normal business hours we welcome walk-ins but also have licensed agents on-call after hours, weekends, and holidays to schedule appointments for immediate service, or to answer bail related questions. In many cases we can help you arrange bail without leaving the comfort of your home or office. Drop in during office hours, or give us a call to schedule an appointment and let us help you with your bail related needs at Case Closed Bail Bonds in Hillsborough, 919-349-7803. Known by many as “the southern slice of heaven”, because of its dazzling springtime gardens, this town has built a reputation as a national leader on social, economic and environmental issues as well was arts and culture. 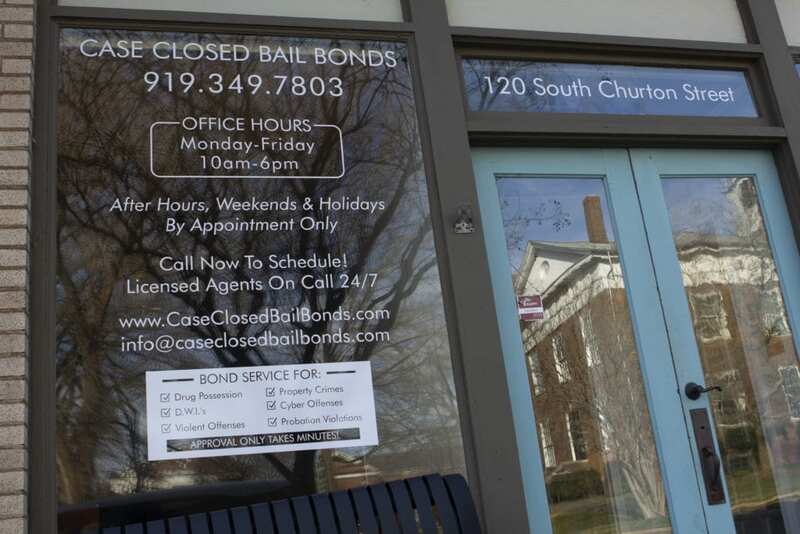 For Chapel Hill Bail Bonds Help Call 919-349-7803 Now. The present day detention facility in Orange County was built in 1925 and only housed 38 inmates. The jail now oversees 170 inmates but like the Town of Hillsborough, much has been dedicated to preservation. The jail still sits adjacent to one of many featured historical relics, a law office from the 19th century. In recent years, Hillsborough has been dubbed “the small town with big history” and is recognized as the location for many significant events during both the Revolutionary and Antebellum periods of American history. Hillsborough was originally established in 1754 and named after William Hill, Secretary of State for the Colonies under King George III. It served as a base of operations for the Continental Army led by General Gates in the Revolutionary War and was also the setting for Gen. Josephs E. Johnston’s surrender to General William Sherman at the end of the Civil War one hundred years later. North Carolina’s famed Town of Chapel Hill lies just 15 minutes to the south. For assistance with Chapel Hill bail bonds or Hillsborough bail bonds in Orange County, North Carolina, call (919)624-9301 in advance or Contact Us via email quick form. Depending on the hour, the magistrate may be on call. For public information, call the Orange County Jail directly. (919)644-3050.